What could get the giggles going more than a banana-shaped phone? 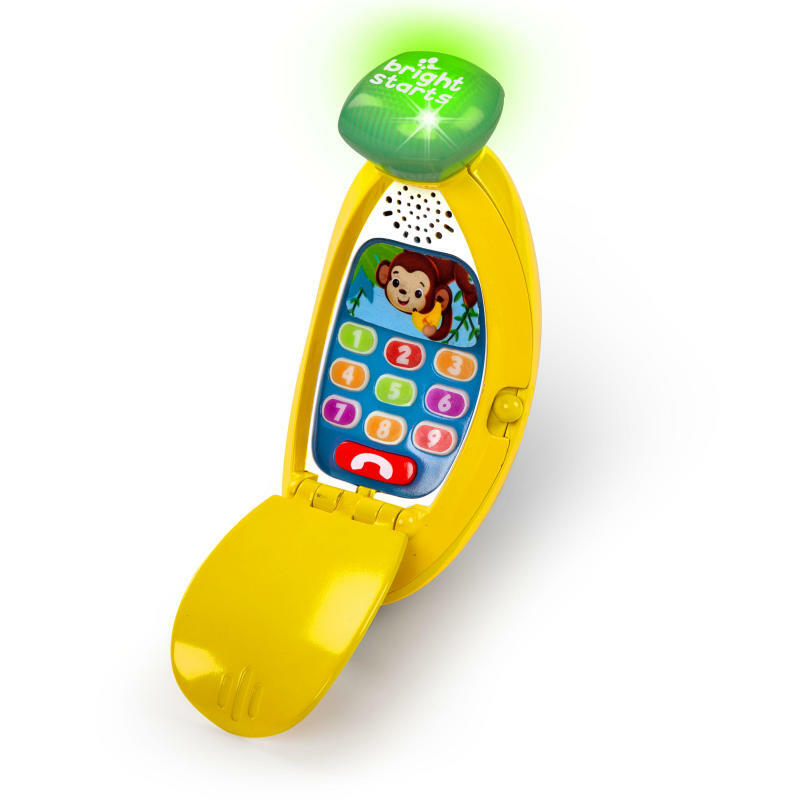 The Giggle & Ring Phone™ from Bright Starts™ entertains with 10 numbered buttons that activate lights, sounds, music and play to learn phrases. Baby can "peel" open to answer or flip the peel shut to close. Babies love holding the banana up to their ear to talk and play. Dimension (in) 1.82" x 2.8" x 6.5"